Buy Magi Kern a Coffee. 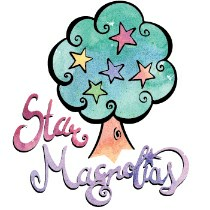 ko-fi.com/starmagnolias - Ko-fi ❤️ Where creators get paid by fans, with a 'Buy Me a Coffee' button. I'm a needle felting artist and have been blogging about needle felting going on 3 years, providing free guides to help others get started with needle felting, along with the occasional tutorial, and plenty of free live streams on my facebook page. My youtube channel isn't monetized, my website is 100% ad free, and I'm not an affiliate. I would like to keep it that way. Secured Payments. Support goes to Magi Kern's account. Upgrade Magi Kern to a yearly Gold Membership with a one-time payment.